Experience Queensland’s capital city with a river cruise to Brisbane’s landmark Ferris wheel. 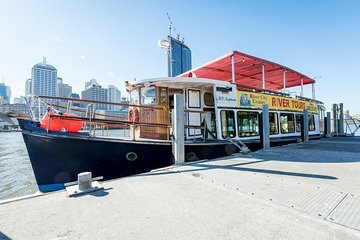 Enjoy complimentary tea, illuminating commentary from an informative guide, and beautiful views while sailing down the Brisbane River. Then, take a magical gondola ride on the Wheel of Brisbane and savor a delicious lunch and drink at the Plough Inn—it’s included in the tour price.